Graham's Vehicle Detailing - Mobile washing, waxing, and detailing of vehicles in Augusta, Aiken, and most of the CSRA. Our mobile car detailing service comes to your home or office! Welcome to Graham's Vehicle Detailing. 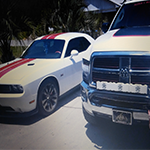 We're your one stop source for all your mobile vehicle washing, waxing, and detailing needs. Whether you have a car, truck, SUV, or van; a 5th wheel, travel trailer, or motorhome; a motorcycle or a boat, have your vehicle fully detailed while you relax in the comfort of your home or work. Trying to fully clean your larger vehicles is often an overwhelming task. Taking it to a car or truck wash will always take time away from your busy day as well. With Graham's Vehicle Detailing, you never have to worry about any of that. We are a mobile vehicle cleaning service that proudly serves the Augusta, Georgia, and most of the CSRA area including Aiken, Evans, and Martinez. We come to you, so you can enjoy your free time in the comfort of your home. When you need to restore the look of your vehicle, count on us to get it done exactly how you want it. Put pride in your car, SUV, van, or pickup. Have it cleaned by Graham's Vehicle Detailing. We offer interior and exterior cleaning services for ALL vehicles from small to large at a flat rate price. Whether you want to put your car, SUV, van, or pickup in a parade, enter it in a car show, or just want to have it clean to drive every day, we'll make sure it looks great. Get Ready For Some Fun On The Water! Boats are subjected to harsh conditions that, over time, dull fiberglass, dim the shine of metals and fade paint. Winter storage is particularly unkind to boats sitting sadly neglected for several months. 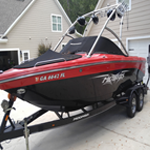 Boats in southern climates endure tropical exposures that age their appearance faster so, clean up demands some powerful cleaning. Don't spend your time washing waxing and polishing your motorcycle. Leave the work to us. We know motorcycle riders love their bikes more than life itself. And we know that when you ride hard your bike gets dirty. Don’t trust your bike to just anyone. 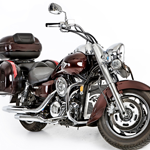 We are among the best in the business at doing the washing, waxing, and detailing work that your motorcycle needs. We know every trick of the trade when it comes to detailing motorcycles and we always use the proper procedure for each unique situation. Get your Rig sparkling with Graham's Vehicle Detailing. Throughout the Augusta, Georgia, area and much of the CSRA, we provide interior and exterior RV cleaning services. 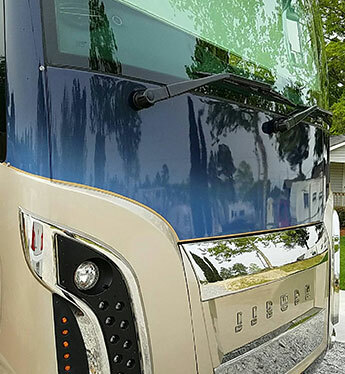 From the largest motor home and 5th wheel to the tiniest teardrop and tent trailer we specialize in detailing all types of RVs, so call on us for a thorough cleaning.